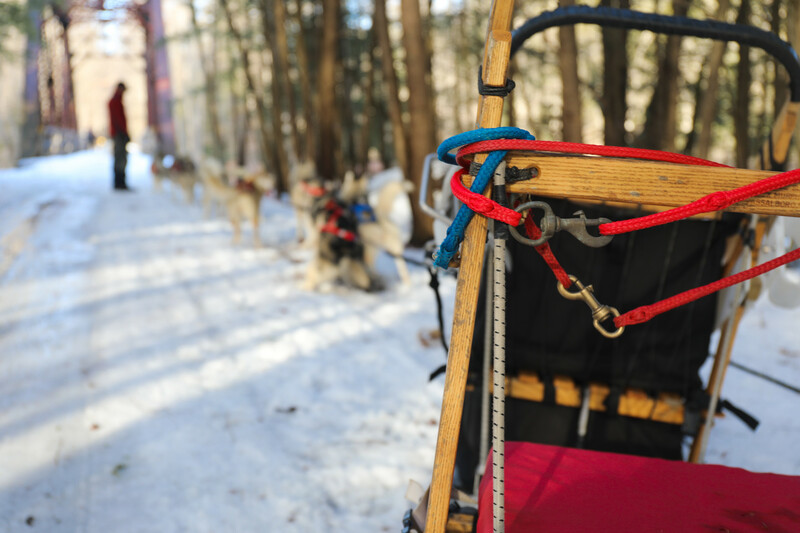 As a line of ten dogs scramble in front of us, our sled is taken on a brisk jaunt through winding trails of high pines and covered bridges. 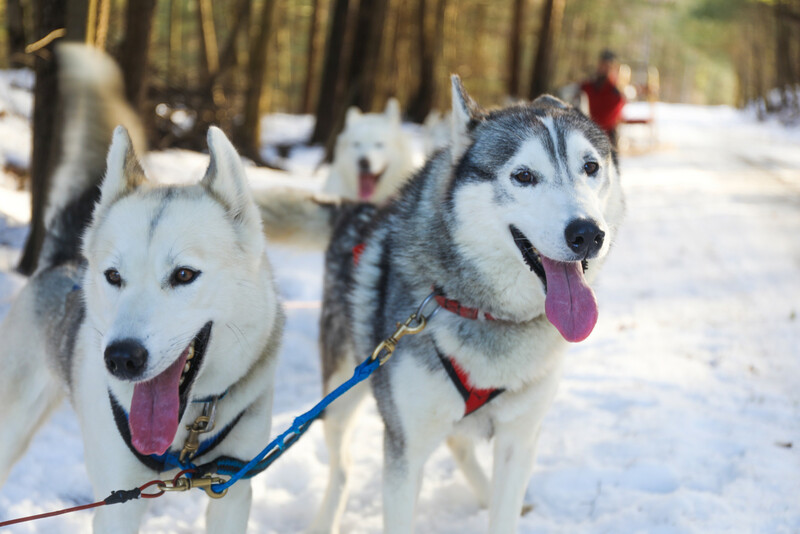 Each husky trots beside a partner, adjusting their gait to match their running companion. The pack’s two lead dogs traverse in controlled unison. Aside from ourselves, the nature around us appears undisturbed and pristine. 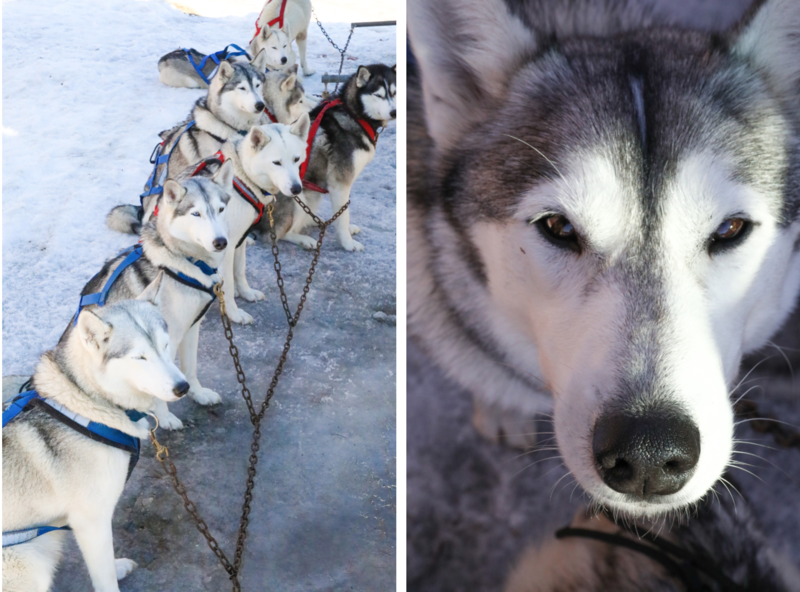 Braeburn Siberians offers a dogsledding experience that we can only describe as one-of-a-kind. Upon our arrival, Kathy and Alex, owners of Braeburn Siberians, are deciding on a game plan for the day’s ride. The couple’s attention to detail is evidenced by the amount of energy they put into arranging each ride, making sure to suit the needs of each individual visitor. In fact, Kathy and Alex are to host a surprise proposal on this particular day (how cool is that?)! With celebratory roses packed neatly in the sled, we greet the dogs while waiting for the pre-engaged couple to arrive. Kneeling down amongst all the fluff, we are introduced to all twenty of their beautiful Siberian Huskies. Generations of pups sit side by side. Kathy is well-versed in who is who, pointing out the grandmothers, fathers, siblings, etc. Each dog has their own personality and characteristics. We look around and see pure white fur, piercing blue eyes, and distinctive markings surrounding us. Known as a relatively high maintenance breed, Kathy notes that Siberians Huskies can never be allowed to run free. “When a Siberian Husky catches a whiff of an enticing smell or when their prey drive is triggered, all bets are off,” says Kathy. With this in mind, huskies are meant to run many miles in a short amount of time. 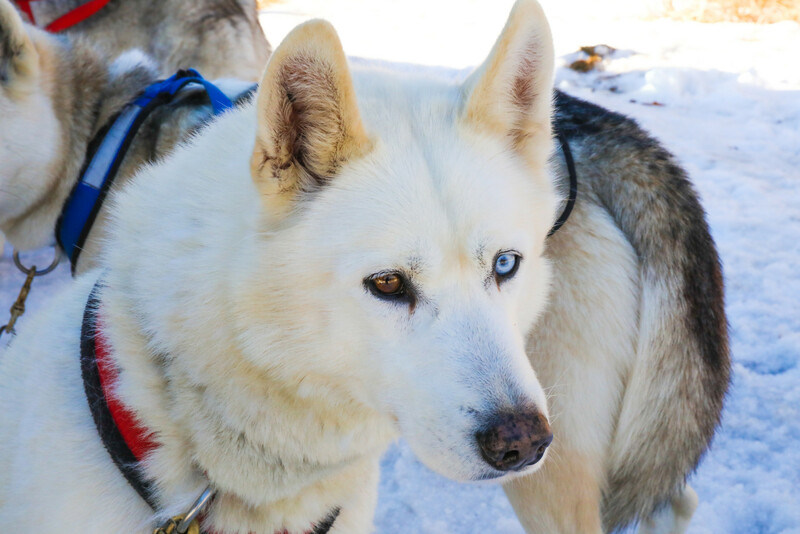 Kathy and Alex are sure to exercise their energetic huskies by hiking, jogging, biking, and…dogsledding. Moreover, these dogs are extremely sociable. Siberians are prone to form packs. As such, they yearn for canine or human companionship. For visitors, this means these pups will nuzzle and kiss you for as long as you’ll let them. 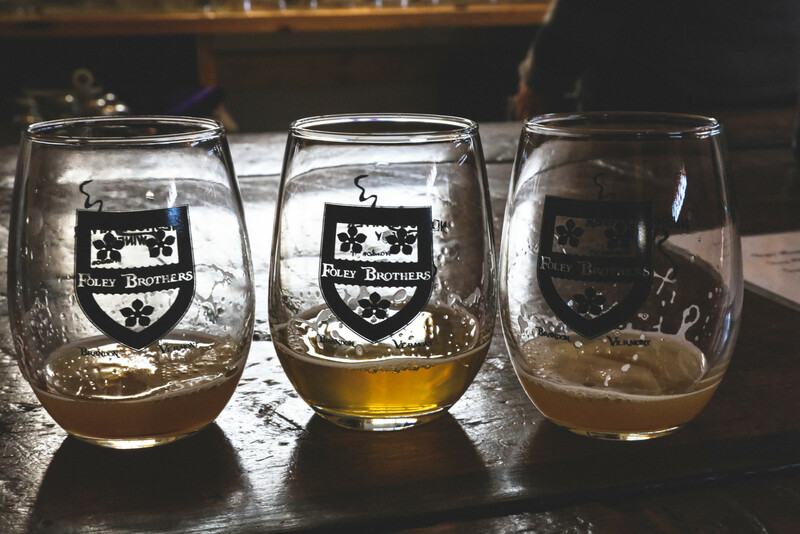 Braeburn Siberians began as a family passion. Kathy and Alex’s daughter, Elizabeth, grew up with dogs. At the age of nine, Elizabeth announced that she would like to learn how to dog sled, after which she undertook a mentorship at a kennel. 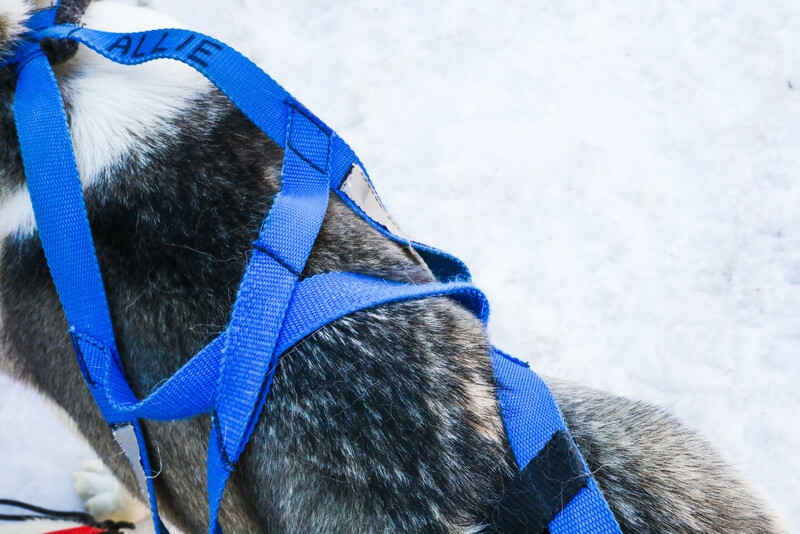 Her growing interest encouraged Kathy and Alex to adopt two expert lead dogs, as well as connect with fellow dogsledding advocates. “[M]eeting with experienced mushers was nothing short of inspirational – and not only sealed my commitment to supporting Elizabeth’s interest, but spoke to something deep within me,” Kathy says. Since then, Kathy and Alex have bred and raised their own Siberian Huskies. They are now in their tenth year as husky owners and live with 35 adorable Siberian Huskies. Rumor has it, these pups are even allowed to sleep in the bed. Talk about dedicated dog lovers! 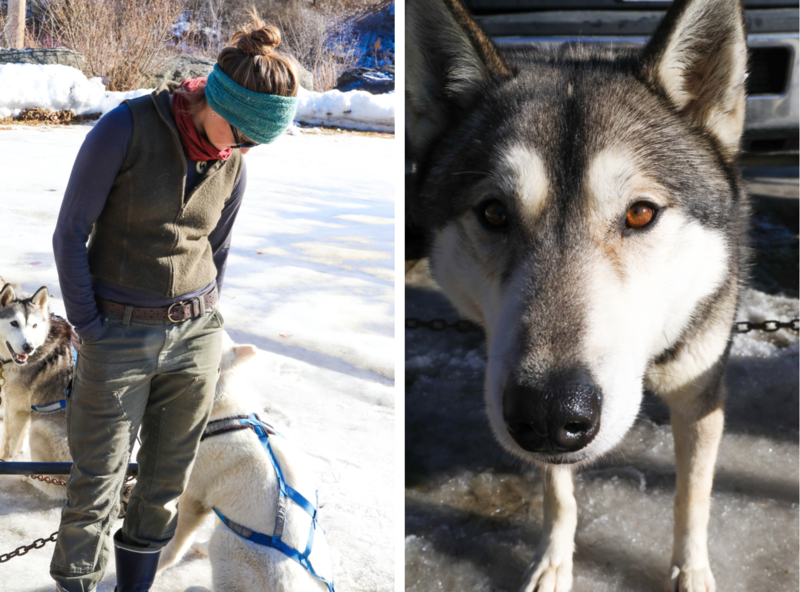 Kathy and Alex also share in their experience and knowledge of dogsledding, offering up a couple intern positions each season. They tend to look for interesting people – those who can endure harsh weather and extended time outside, just like their Siberians! Our interns for the day were incredibly nice and easy to talk to (their outdoor-centric resumes included whitewater rafting and sailing). 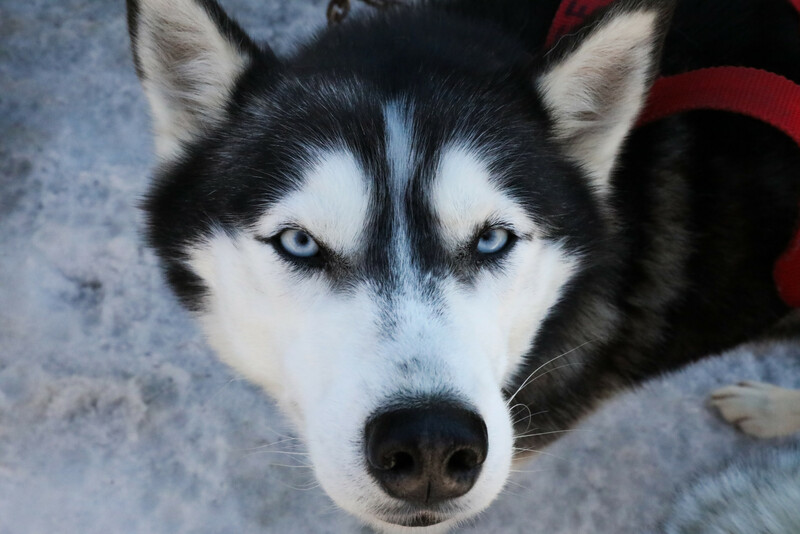 The entire Braeburn Siberian team, including the huskies, is wholeheartedly kind and genuine – an added bonus to our dogsledding experience! 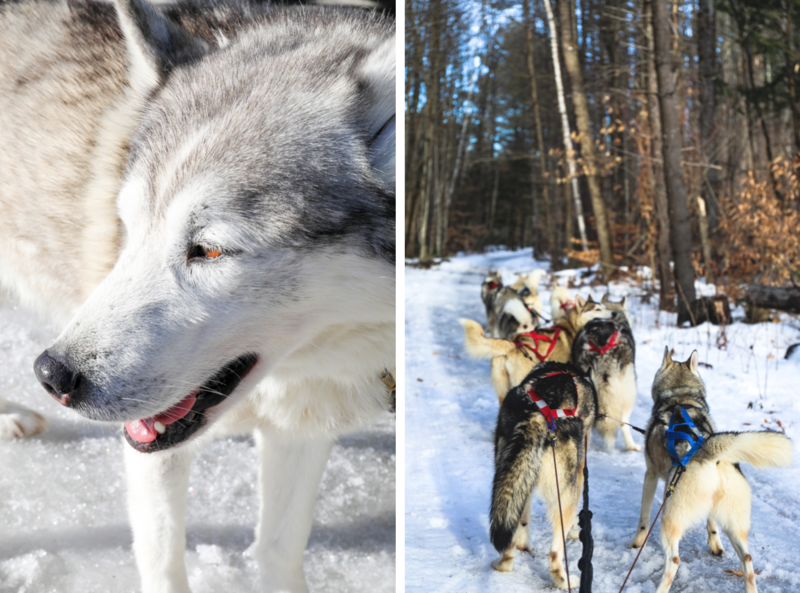 A ride with the Siberian Huskies leads you on quite the journey. There is somewhat of an intimate connection with nature and wildlife while gliding through the woods. 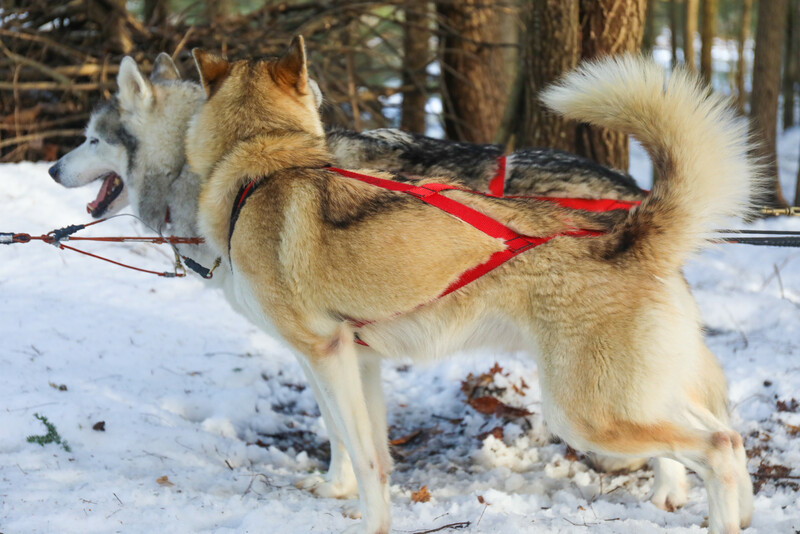 Also, the act of having an animal pull your weight and power you through the forest is intrinsically primal, given the huskies’ natural strength and ability. 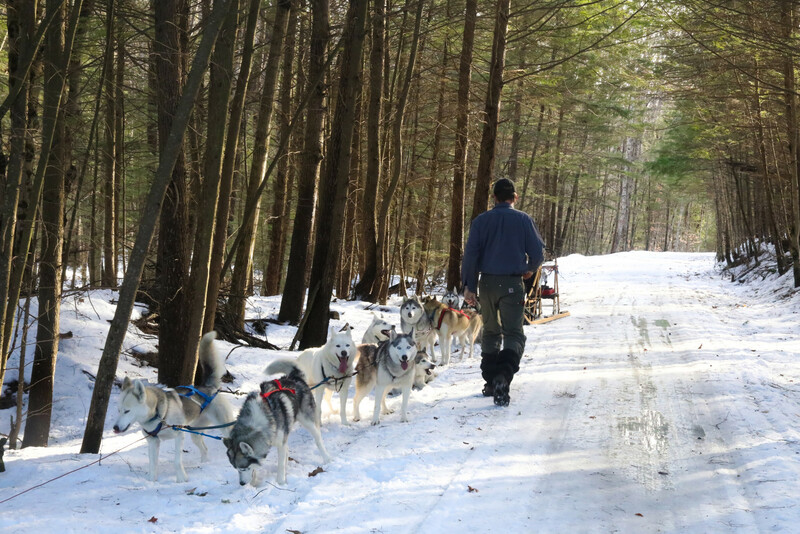 We equate dogsledding to a kind of ecotherapy. We felt rejuvenated after our ride, with an invigorated appreciation for nature. Cool winds, crisp air, and snowy trails all contributed to this elevated dose of outdoor time. We opted for a two-hour excursion with Braeburn Siberians, and highly recommend this longer experience to truly enjoy the pups and your ride. 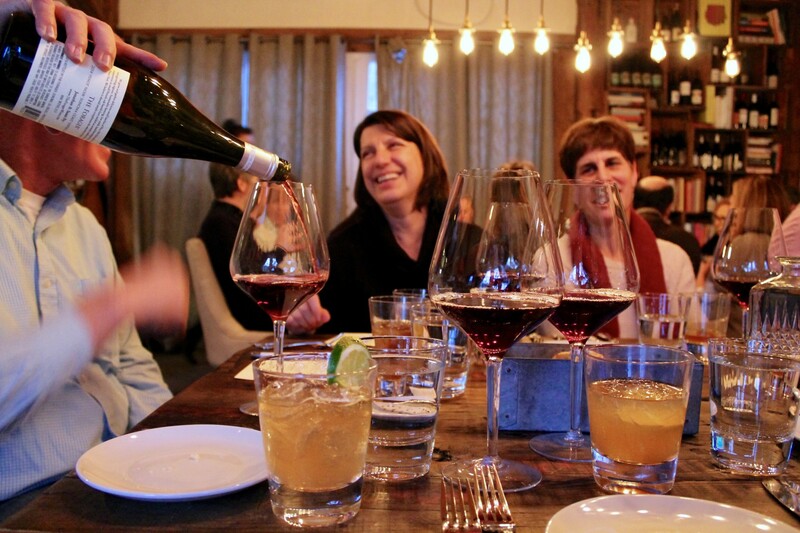 Braeburn also offers 30-minute rides in Windsor, VT. You can see pricing and other available event options here. 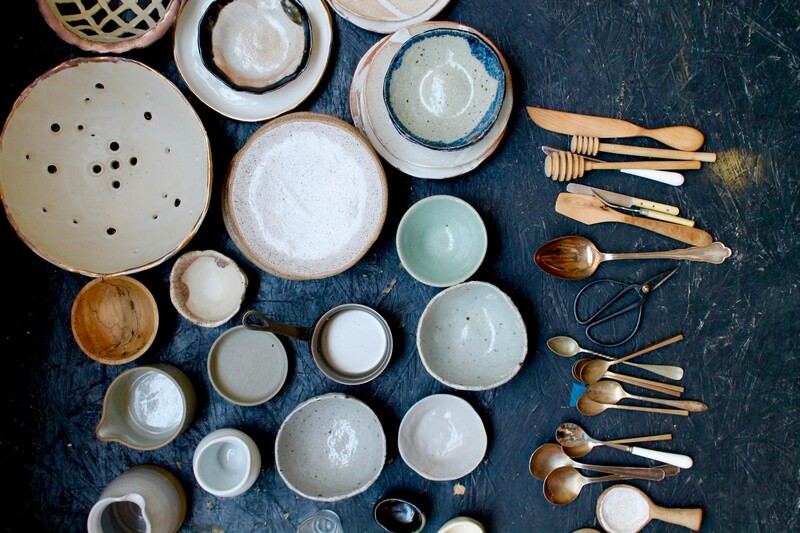 Winter isn’t all about skiing or snowshoeing. 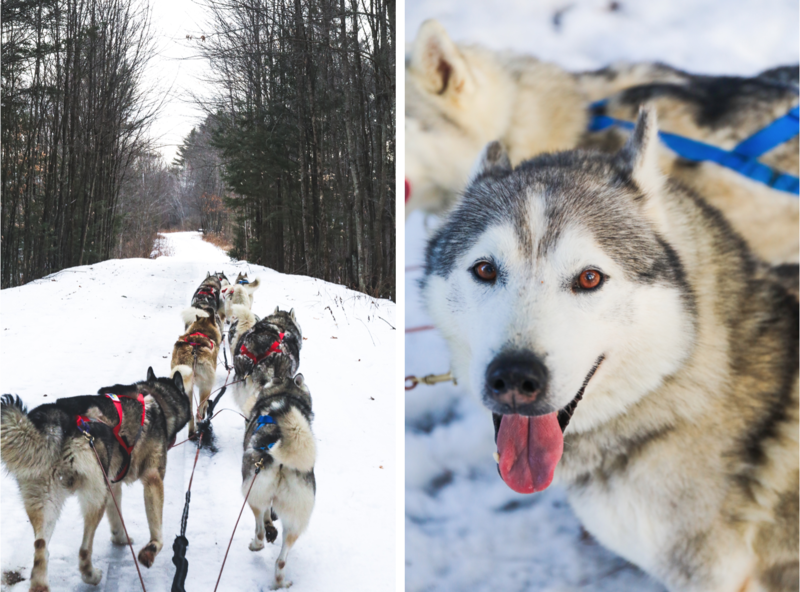 Try something exceptionally unique and exhilarating – go dogsledding! Now mush before winter is over!